Drink: They are definitely a wine restaurant. Under every food categorie you will find wine recommendations for specific dishes or just ask the waitors. Also they have choices per glass, half a liter, 0,75 or 1 liter depending on the wine. 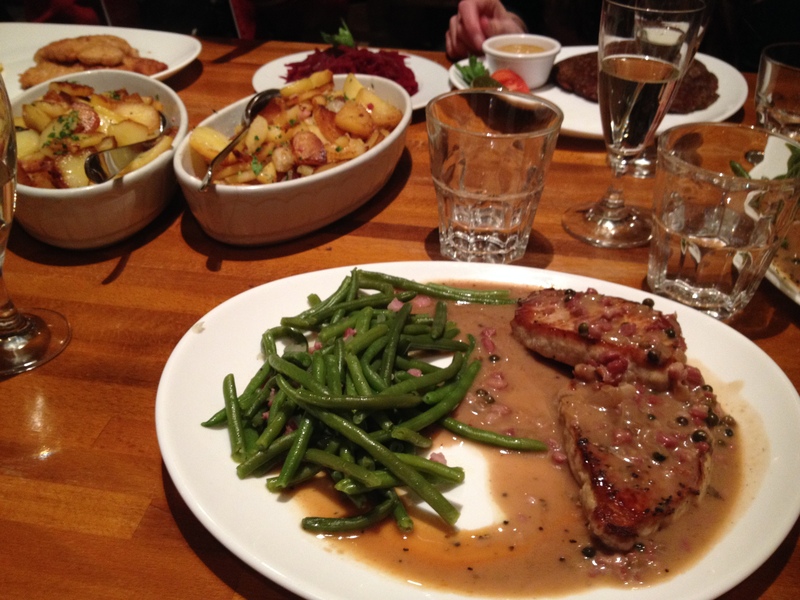 Eat: Lots and lots of meat… They have a refreshing mixture of mediterainean dishes and german kitchen. And they combine it very well. Have some antipasti, olives and garlic bread as starters and then switch to steak, lamb or schnitzel. They have also have a fish selection and some vegetarian dishes, however I have never tried those. Also check out the dishes of the day. They are seasonal things and are written on the black board. Price: For the food is really good. They make everything fresh but still don’t overprice it, the wine however (depending on which one you order) can be more expensice. My tip: If you want to have your dinner between 8 and 9 you should book a table, cause it gets very very full later on. If you don’t mind waiting you can have a drink at the bar first, the staff is really friendly and makes you feel welcome and comfortable. If you go at around 7 (like I mostly do) the chances are good that it will be empty and you can choose a seat. 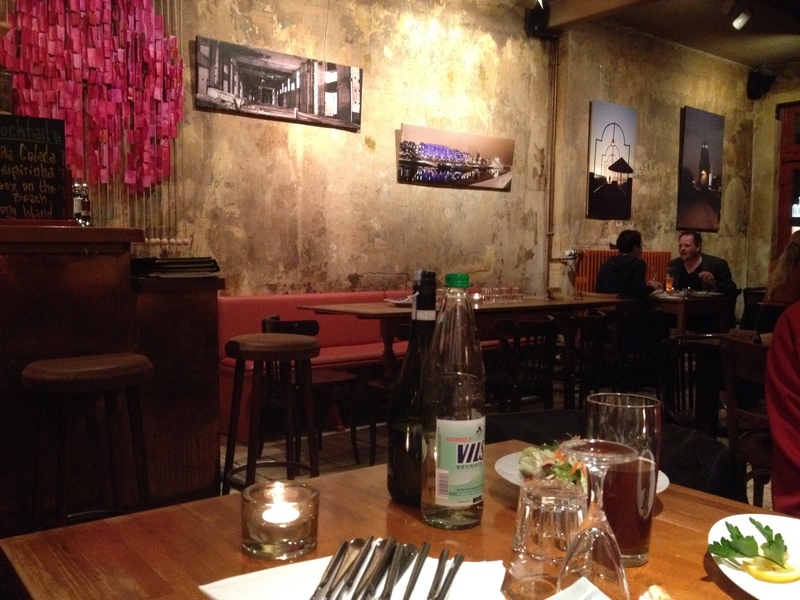 This entry was posted in Germany, Places behind Food and tagged Bremen, Eat, Food, Restaurants, Tourism, Travel. Bookmark the permalink.